In most cases, the government is the one in charge of maintaining the security of the public areas and the roads. Therefore, the city, state and government entity, where your vehicle got destroyed, would be liable and accountable for any accidents that happened. If you or a loved one was injured in an accident that may have been caused by hazardous road conditions, you likely wonder who is to blame. In some cases, your insurance company may cover your medical costs and damage to your vehicle because no one is considered “at fault” for the accident. In other situations, the government entity responsible for maintaining roads may be at fault. The public entity controlled or owned the road where the accident happened. 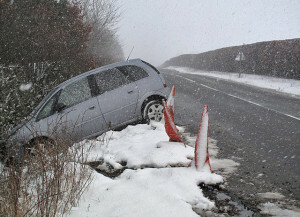 Conditions on the road were dangerous at the time of the accident. Dangerous conditions caused the accident. The public entity could have reasonably anticipated that such an accident would happen. The dangerous conditions were the result of the public entity failing or neglecting to address its duties. A city or county transportation department may be reasonably expected to maintain certain conditions on roads, but they can’t be held responsible for unforeseen hazards. One of the most common of these hazards is deer. They might look pretty standing by country roads outside Folsom, but they can do serious damage to a car. If you were involved in an accident that was caused by a deer, you will generally receive help from your insurance company. Many victims struggle to decide what they should do after they’ve been in an accident caused by hazardous road conditions. Make sure that you report the accident to the police and your insurance agent as quickly as possible, and gather contact information from any witnesses at the scene. If you’d like to pursue compensation from a public entity, you should also contact an experienced personal injury attorney who can examine the facts and advise you. Asking for a claim requires you to give many reliable details about the poor condition of the road. Details include the name of the road as well as the direction when you were driving. Furthermore, witnesses will be required if the government has no record of hazardous road conditions prior to the occurrence of the accident.